For some reason, I am particularly fascinated by movies that play with our perception of perception itself. These films evoke a sense of wonder, test our certainty of reality, and raise questions about whether the world recorded by our senses is “really” there. The list below contains some of my favorite, or most memorable, mind-bending films in this genre. !WARNING! : Movies of this sort often contain plot twists and surprises that are highly susceptible to spoilers. I won’t reveal any spoilers in the descriptions below, but if you plan to watch these films, I advise that you go ahead and view them before you read much more about them on the web. Researchers discover how to record experiences and play them back into the heads of other people, complete with the physical sensations. When one researcher records her own death, her colleague must fight with the government to get the tape and play it back to into his own mind to answer one of life’s ultimate questions. Starring Christopher Walken, Natalie Wood, and Louise Fletcher. Strange telekinetic beings secretly run a dark world in which each unsuspecting person’s reality changes every night. 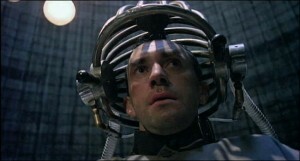 One man begins to struggle with memories of his past “lives” and seeks to reveal and undermine the puppet-masters. Starring Rufus Sewell, Kiefer Sutherland, William Hurt, and Jennifer Connelly. From the brilliantly warped mind of Terry Gilliam, “Brazil” tells the tale of a low-level bureaucrat’s efforts to correct a clerical error that has resulted in the government abducting and killing the wrong man. Set in a dark, terrifying, dismal, dystopian parallel universe, the movie includes dream sequences that symbolize the main character’s struggles against the bureaucracy. You may have to watch it more than once to understand everything that’s going on – but it’s a great film. Starring Jonathan Pryce, Michael Palin, Kim Greist, Katherine Helmond, and Robert De Niro. Memento tells the story of a man whose short-term memory has been damaged following a head injury he sustained after intervening in his wife’s murder. He can no longer form memories for longer than fifteen minutes, and he must live his life by tattooing notes on himself and taking pictures with a Polaroid camera. The movie tells his story backwards, revealing how the main character got to where he was. Directed by Christopher Nolan, starring Guy Pearce, Carrie-Anne Moss, and Joe Pantoliano. In late 1990s Los Angeles, Hannon Fuller is the inventor of a newly-completed virtual reality (VR) simulation of 1937 Los Angeles, filled with simulated humans unaware they are computer programs. When Fuller is murdered just as he begins premature testing of the VR system, his friend and protégé, Douglas Hall who is also the heir to the company, becomes the primary suspect. The evidence against him is so strong that Hall begins to doubt his own innocence. 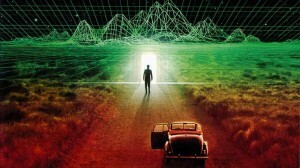 He sends himself down into the simulated reality looking for answers. A man, Joel Barish, heartbroken that his girlfriend Clementine underwent a procedure to erase him from her memory, decides to do the same. However, as he watches his memories of her fade away, he realizes that he still loves her, and may be too late to correct his mistake. Starring Jim Carrey, Kate Winslet, and Tom Wilkinson. 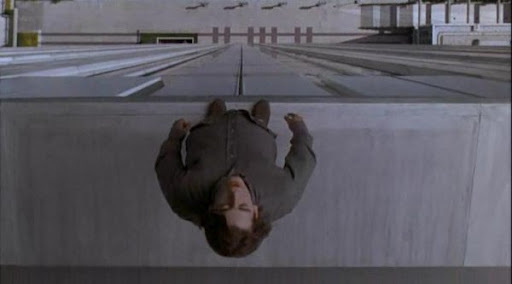 The Truman Show chronicles the life of a man unaware that he is living in a constructed reality television show, broadcast around the clock to billions of people across the globe. 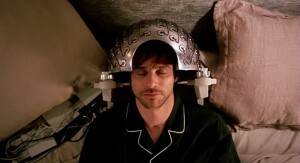 Truman becomes suspicious of his perceived reality and embarks on a quest to discover the truth about his life. Starring Jim Carrey, Ed Harris, and Laura Linney. A lone astronaut working at a lunar mine nears the end of his three-year contract, and makes an ominous discovery about himself in this psychological sci-fi film starring Sam Rockwell and Kevin Spacey. One of the best movies no one has ever seen. Two entrepreneurs accidentally invent a device that warps space-time. 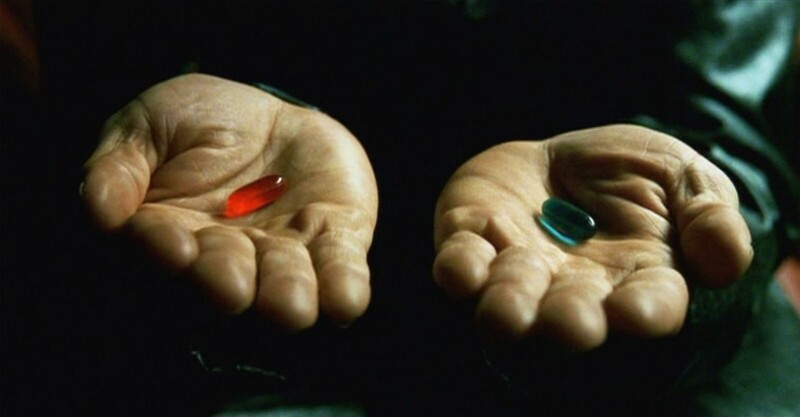 They begin using the device to travel backward through time and then manipulate events for their personal gain, with strange and unexpected results. It’s ingenious and cerebral — you will need to focus and concentrate while watching, and will probably need to watch it more than once to understand everything that happens. 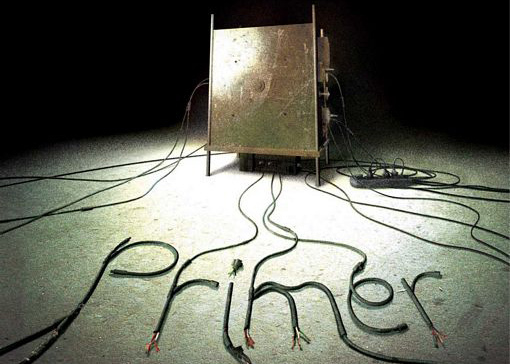 Esquire magazine noted that “anybody who claims he fully understands what’s going on in Primer after seeing it just once is either a savant or a liar.” Produced for only $7,000 (that’s not a typo), the film won the Grand Jury Prize at the 2004 Sundance Film Festival. A jaw-dropping psychological thriller about a man whose life is not all that it seems. Spanish with English subtitles. Starring Eduardo Noriega, Penélope Cruz, and Chete Lera. The film “Vanilla Sky,” starring Tom Cruise, is a decent American remake of this film, but the original is better. 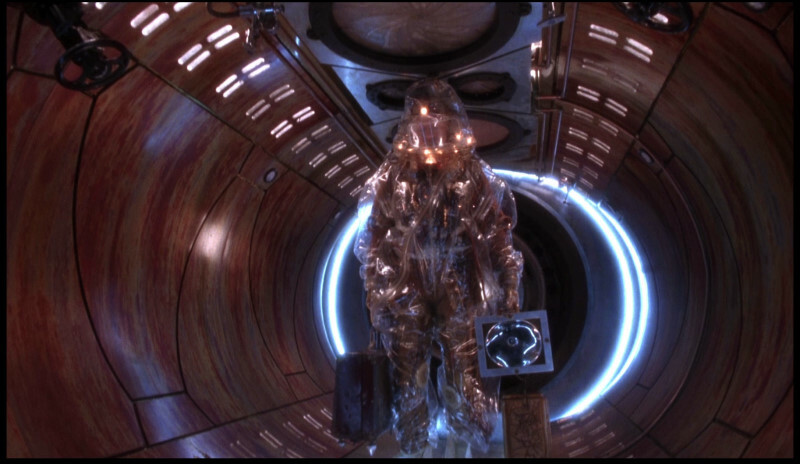 In a future world devastated by disease, a convict is sent back in time to gather information about the man-made virus that wiped out most of the human population on the planet. The story is disconcerting. It deals with time, madness and a perception of what the world is or isn’t. Directed by Terry Gilliam and starring Bruce Willis, Madeleine Stowe, and Brad Pitt, with Christopher Plummer and David Morse in supporting roles. 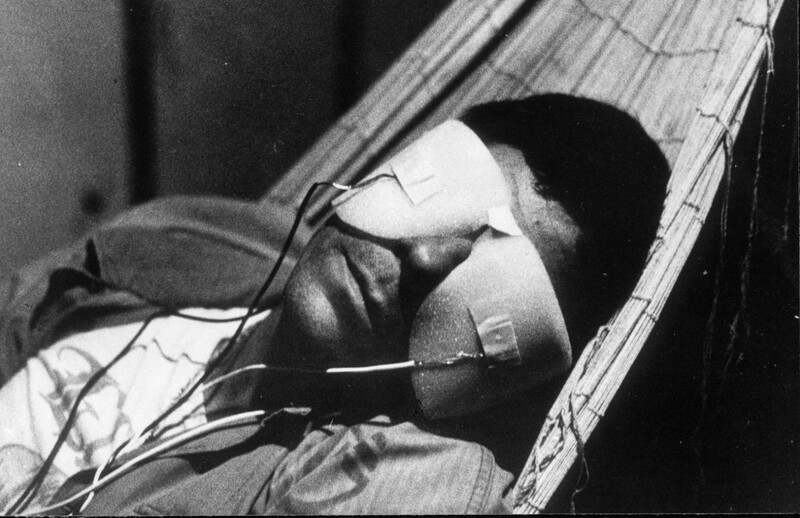 Inspired by Chris Marker’s 1962 short film, La Jetée. 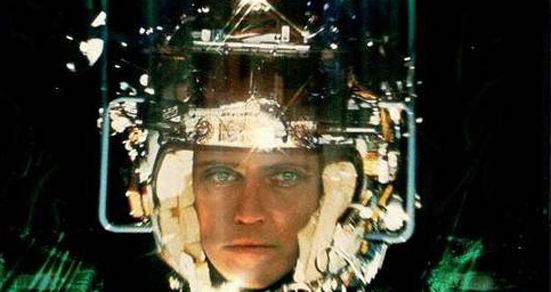 A beautiful, classic French science fiction featurette by Chris Marker. Constructed almost entirely from still photos, it tells the story of a post-nuclear war experiment in time travel. The film runs for 28 minutes and is in black and white. It won the Prix Jean Vigo for short film. 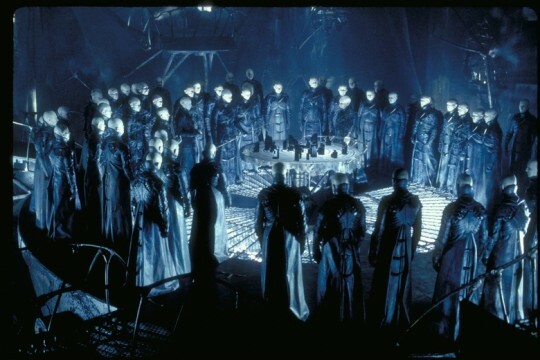 The 1995 science fiction film 12 Monkeys was inspired by, and takes several concepts directly from, La Jetée. Craig Schwartz is an unemployed puppeteer in a forlorn marriage with his pet-obsessed wife. Working as a file clerk in the strange Floor 7½ low-ceiling offices of the Mertin Flemmer Building in New York City, he develops an attraction to his co-worker Maxine, who does not return his affections. One day, Craig enters a small door hidden behind a filing cabinet and finds himself in the mind of actor John Malkovich; able to observe and sense whatever Malkovich does for fifteen minutes before he is ejected and dropped into a ditch near the New Jersey Turnpike. Craig reveals the portal to Maxine and they let others use it for $200 a turn. 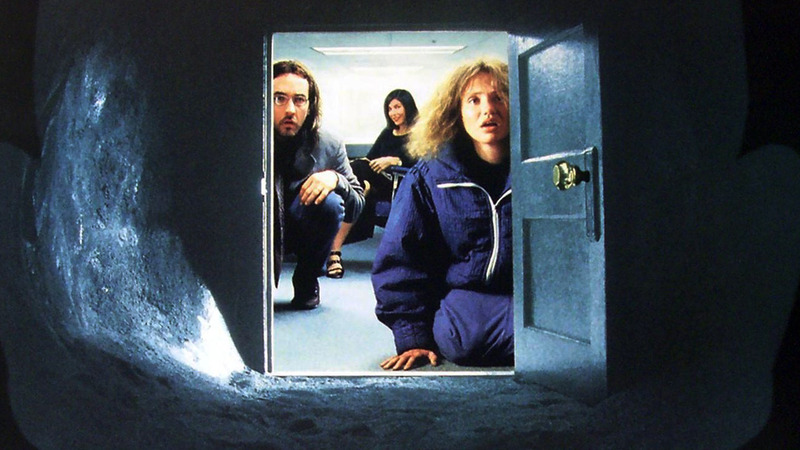 Written by Charlie Kaufman and starring John Cusack, Cameron Diaz, and Catherine Keener. 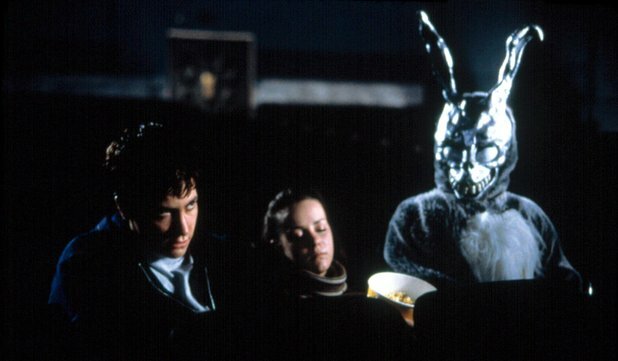 On October 2, 1988, Donnie Darko, a troubled teenager living in Middlesex, Virginia, is awakened and led outside by a figure in a monstrous rabbit costume, who introduces himself as “Frank” and tells him the world will end in 28 days. At dawn, Donnie returns home to find a jet engine has crashed into his bedroom. And then it gets weird. Starring Jake Gyllenhaal, Jena Malone, Mary McDonnell, Katharine Ross, Maggie Gyllenhaal, James Duval, Drew Barrymore, and Patrick Swayze. A computer hacker learns from mysterious rebels about the true nature of his reality and his role in the war against its controllers. A must-see classic. Starring Keanu Reeves, Laurence Fishburne, Carrie-Anne Moss. From the writer of Adaptation, Being John Malkovich and Eternal Sunshine of the Spotless Mind. The plot follows an ailing theater director as he works on an increasingly elaborate stage production whose extreme commitment to realism begins to blur the boundaries between fiction and reality. Its motifs and themes include a play-within-the-play, Jungian psychology, delusion, death, and simulations of reality. 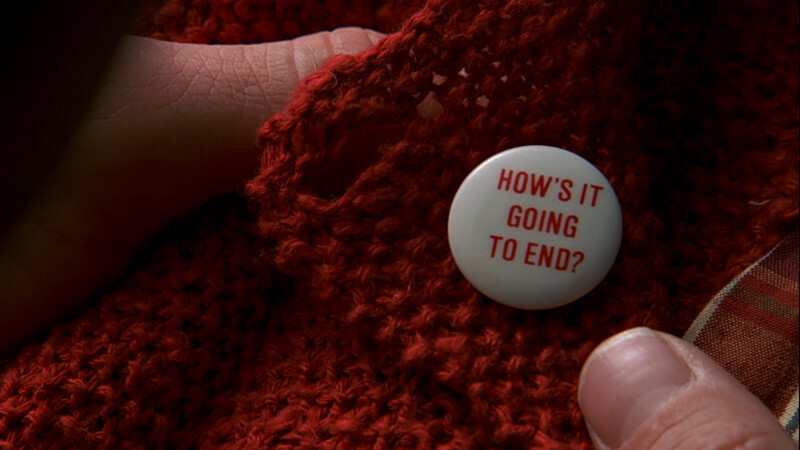 Written and directed by Charlie Kaufman. Starring the late great Philip Seymour Hoffman, Catherine Keener, Samantha Morton, Hope Davis, and Jennifer Jason Leigh.